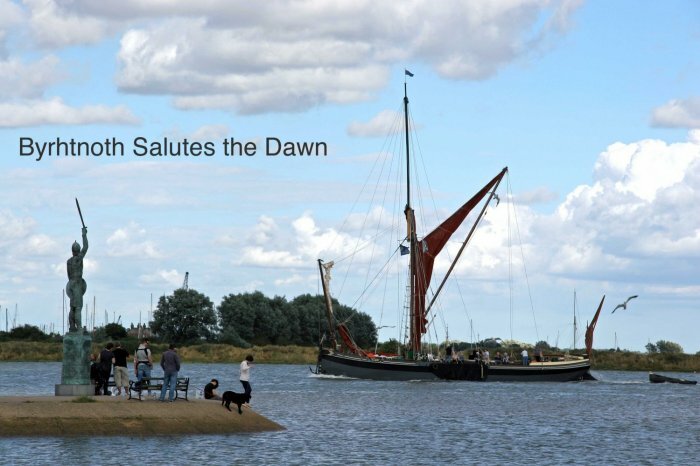 You can expect a warm welcome and a relaxed atmosphere at Maldon Yacht Club. Established in 1949 the MYC is a small but thriving sailing club situated at the end of the promenade opposite Byrhtnoth. The Clubhouse is a converted barge which provides a galley, bar, changing rooms and a clubroom. 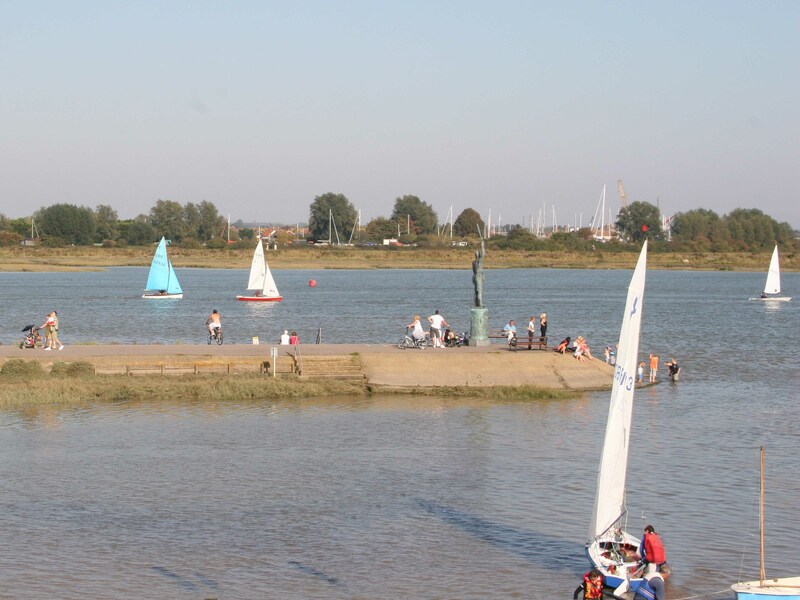 Despite the rather grandiose name of Maldon 'Yacht' Club, the club is actually a small dinghy sailing club. We have a racing fleet that takes part in organised races throughout the year & plenty of 'potterers' who sail for fun whenever they can, tides & weather permitting. Access to the river is via the club's own slipway affording approximately two hours sailng on a reasonable size tide. A comprehensive weekend racing schedule ensures that there is plenty of sailing for those with a competitive spirit. However, sailing at MYC doesn't just take place at the weekends. There are a growing number of 'midweeker' members who simply enjoy 'messing about on the river' A variety of dinghies, kayaks, canoes and rowing boats can be seen on the river at high water. MYC own four different sailing dinghies that are available for members to use free of charge. More details will shortly be available on our 'join us'page. 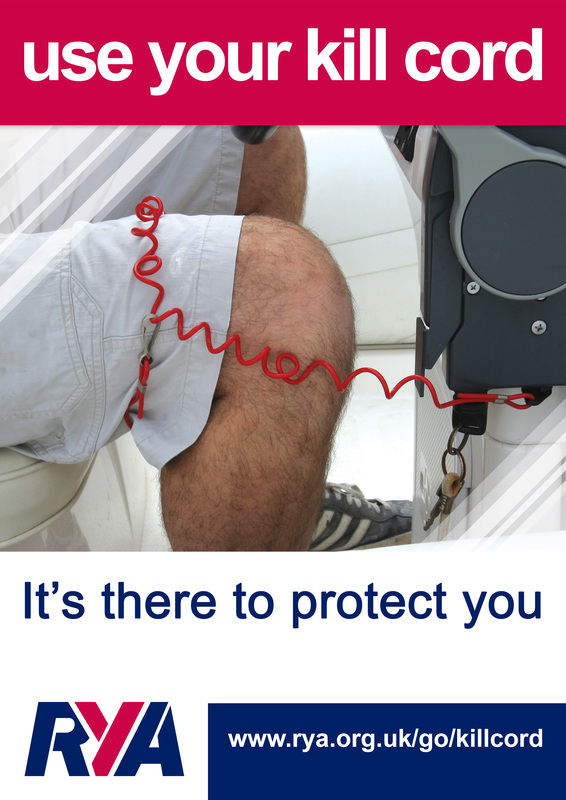 The RYA urges all owners and operators of powerboats and RIBs to remember to wear a kill cord.